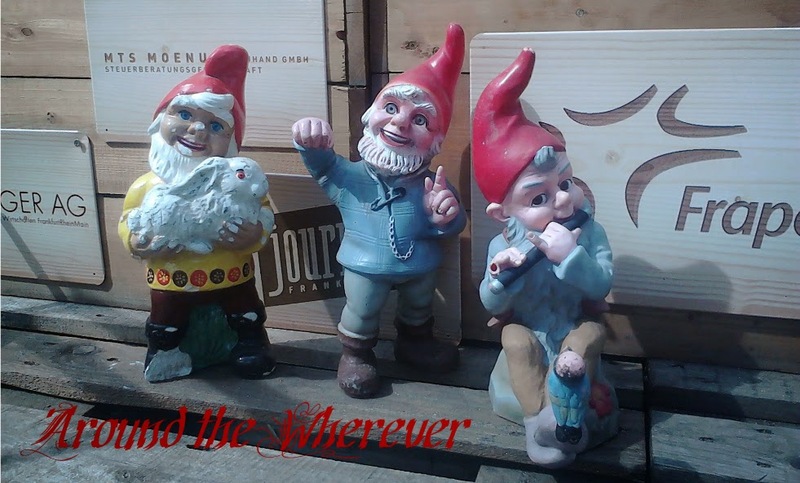 Around the Wherever: My week: February 14 ed. My week: February 14 ed. This week was intense! It was also awesome. I reveled in a week full of activities and made it through the weekend without falling asleep in my Ghourmeh Sabzi. Even better yet? My scientist friend from Freiburg, S, visited for the week while she was conducting research at our local uni. She fell in love with Moo and now he has yet one more fan club member. -It was the last week of the uni German classes. We played games in our class, including Querdenker ("out of the box" thinker), Tabu, and more. Class members brought in food for a mini potluck, which is always fun because people often bring in treats from their home countries. We sampled Russian cookies and an interesting drink from Indonesia called "Bandrek 2 Pigeons." It is a drink powder that is gingery and peppery with smoky tones. It's one of those things that I'm not sure if I like it or not. I can also believe that if I were to drink it more often, I would grow to enjoy it. That might make no sense at all, but that's how I felt about hummus originally and now I love hummus. -My tandem partner and I tried out a new restaurant called Schubis (more to follow) where we enjoyed a tasty meal and good service. I also attended a language meeting and a cultural evening. -It was the annual Grünkohlessenabend (kale eating evening)! The ladies' club hosts this cultural event to acquaint attendees with northern German cuisine, culture, and, let's be honest here, ways of drinking. Here's a more detailed description of what exactly happens at this event; I wrote this after attending last year's event. The "tools" of the trade - one spoon for drinking and one to extinguish the fire. This is my second time attending, so I knew what to expect. Of course my friend W was invited, too, since she was an excellent, shenanigan-inducing, dirndl-out-of-place-wearing partner in crime at last year's dinner. 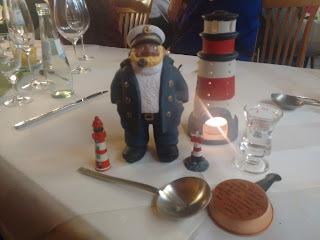 We introduced Scientist Friend S to the joys of northern German cooking and their varied ways of drinking alcohol too. The three of sat next to two sassy American ladies and we all thoroughly enjoyed ourselves, doling out sausages, kale, and the shots of liquor that we could drink out of a spoon or from a flaming row of shot glasses that used a wooden shoe as a serving tray. Dang, do those northern Germans know how to party! 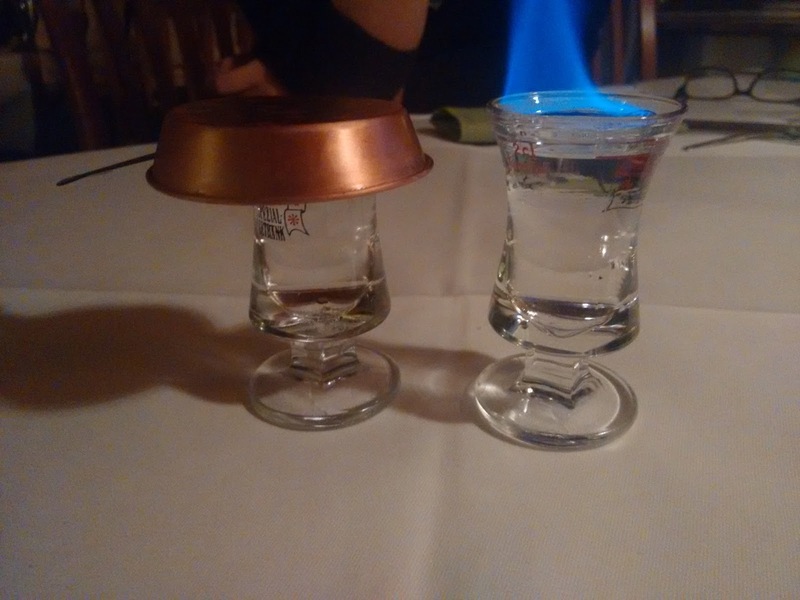 Flaming alcohol. Let it cool first before drinking it! I even (accidentally) set the table on fire and found myself gleefully exclaiming, "happens every year!" (Ermergerd, I'm turning into a regular!) I felt a bit distrustful of drinking the alcohol that was on fire. Turning to W, I said, "Didn't one of us burn her mouth on this? For some reason that stands out to me." Well, apparently I was the dummy who did that. Maybe I didn't remember who suffered from it but at least I didn't repeat the same mistake this time. -I drove S back to Freiburg. On the way back, we stopped in Colmar for a rainy visit. We walked through the downtown area, using the map with the walking tour, which we received from a very friendly and helpful employee at the tourist center. Even though I'm not really supposed to eat sweets right now (I'm working on a cleanse), I said forget it, I want some French treats and stopped at a bakery. It dawned on me that I had no idea what language to use in the bakery since I can't speak French. I watched the person ahead of me and she spoke German so that's what I did too. Phew! I felt somewhat at home. Since Colmar is so close to the German border, it makes sense that residents would be multilingual. 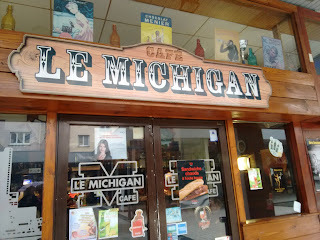 I found a surprise: a restaurant named "Cafe Le Michigan." It even knocked off the logo for the University of Michigan. 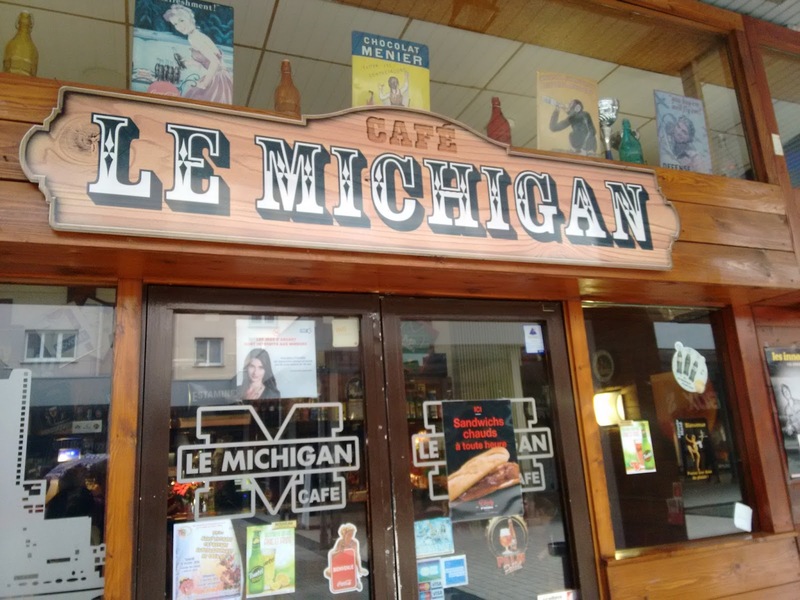 It's funny to see a bit of home in France. Finishing with Colmar, we arrived in Freiburg and ran to an international grocery store, Daria, to grab some Persian food. I'm totally hooked on Ghourmeh Sabzi, which is a mix of green herbs and kidney beans (sometimes with meat too). I grabbed a couple of cans of it to take home with me. The next day, we took a bus to Basel in Swizterland, an easy hour-long journey. We visited some museums and wandered around in the rain again, running into people preparing for the Fasnacht celebrations to be held the next day. We took the train back and finished the weekend with dinner at Enchilada, a Mexican restaurant in Freiburg, enjoying the Sunday buffet. My week: 21 February ed. My week: February 7 ed. My week: January 31 ed.